The postpartum period is hard. Mentally, physically, emotionally. Along with trying to figure out how to keep your little human alive, you’re faced with so many changes in such a short period of time. Looking back, it all goes by so quickly, but don’t get me wrong, when you’re in the thick of it, the days feel like years. Ha! 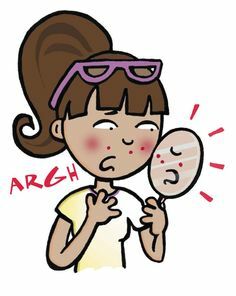 One of the things I dealt with almost immediately was postpartum acne. While my skin remained fairly clear during pregnancy, specifically during my second and third trimesters, as soon as Kaiden was born, things went haywire. Because of how everything went down, I wasn’t immediately able to give my skin the attention it deserved. Or at least the wash it deserved, so maybe I have a part to play in the initial flareups, but what came days and months later definitely felt more hormonal. In the days that followed, my stress levels ebbed and flowed, my emotions were a bit all over the place, etc. Combine that with my newfound pumping hobby, and you have a hormonal hot mess new mom who’s face looked like it did about 20 years prior. I won’t go into every detail, but trust me when I say, my skin went from not so good, to bad, to ugly. So much so that I refused to be in pictures with Kaiden. I’d always want to stay behind the camera. I tried lots of different things to control my breakouts – topical medicines/creams, dietary changes, LOTS and LOTS of water, etc. Nothing seemed to work. In fact, it just kept getting worse. Me. Everyday for about seven months. Fast forward to the end of this past January. Vishnu sat me down (probably after I cried to him about how ugly I felt) and made me see the light – I needed to see a dermatologist. I was so resistant to this idea because I didn’t want to be on the ‘typical’ acne drugs again. And given that I had a horrible experience with a dermatologist in Miami, I was scared a visit (and the subsequent ‘treatment plan’) would end up making things worse. I somewhat hesitantly made the appointment. I wish I could say that the doctor I saw solved all my problems. She didn’t. She wanted me to use a cream that would cost us $500 a month along with an oral medication. Although, she did confirm that my acne was hormonal. I then decided to make an appointment with a NP I absolutely love at my gynecologist’s office. We talked about my options, and after lots of discussion (with her, Vishnu, my sister, my mom, friends, etc. ), I decided to go back on birth control and use OTC Differin as well. This was not an easy decision for me by any means. In fact, the last thing I wanted to do was go back on birth control. What I wanted was to be able to control my hormonal acne in a more natural way. With all of that being said, I will say that the birth control has helped immensely. My skin, while not perfect by any means, looks 110% better. The painful flareups are no longer present, and the overall condition of my skin is also slowly improving. I used the Differin for about three weeks and am now only using Drunk Elephant (DE) products as my topical agents if you will. You guys, I LOVE DE. I’m hoping one day I can transition off of birth control and continue just with DE and have clear skin for life (a girl can dream, right!?). But honestly, it’s a brand I’m 100% behind and can’t wait to share more in my next post.